Studies of the gut microbiome have gone to the dogs—and pets around the world could benefit as a result. In a paper published this week in mBio, researchers from Nestle Purina PetCare Company report that the ratio of proteins and carbohydrates in a canine's daily diet have a significant influence on the balance of microbes in its gut. Among other findings, they observed that dogs fed a high-protein, low-carbohydrate diet had decreases in the ratio of Bacteroidetes to Firmicutes bacteria, as well as enriched microbial gene networks associated with weight loss in humans. The microbial responses were more pronounced in obese and overweight dogs than in dogs of a healthy weight. The researchers say their study may help identify new microbiology-inspired strategies for managing pet obesity, which is a growing problem. More than half of pet dogs in the United States are overweight or obese, according to the most recent annual survey by the Association for Pet Obesity Prevention. A comparison of that data with previous surveys suggests that obesity in dogs, as in people, is getting worse. "We do believe dogs have become heavier over the last decade, and that it's an epidemic," says Johnny Li, a computational biologist at Nestle Purina, in St. Louis, Missouri, who led the new study. Li says he launched the study because only a handful of previous studies have explored the gut microbiome of canines, and the effect of diet on gut microbes hasn't been well documented. Li says the effects of diet on the microbiome were more pronounced in obese and overweight dogs than in lean dogs. "That seems to suggest that obese dogs and overweight dogs are more susceptible to dietary intervention," he says. A different diet for those animals may have a greater impact on the bacterial balance in their guts. 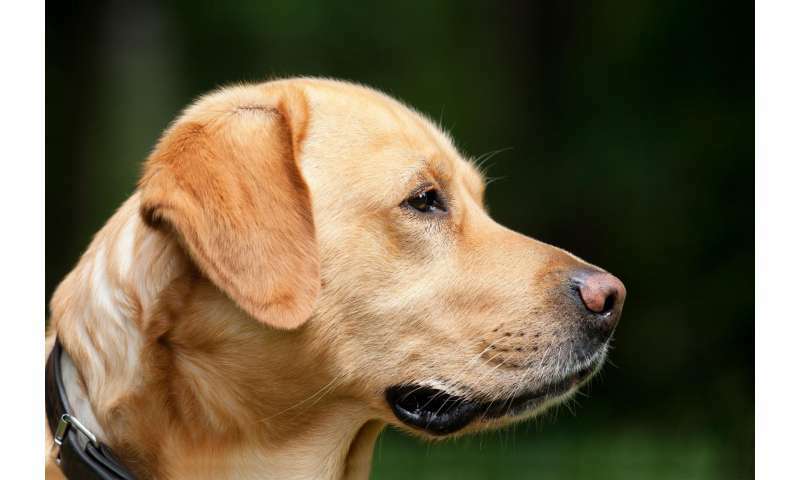 The study involved only two breeds, but Li says the findings are likely applicable to all dog breeds, "though we need more studies on other breeds in the future to be sure." Li says his team's study provides a framework to explore the connection between diet and gut microbes in dogs. Although the findings are preliminary, he says he hopes to see the research eventually translate into real-world ways to modify pet food, perhaps through the strategic use of probiotics or prebiotics, and reduce the obesity epidemic.